Order your yearbook before March 1, it's just $12. See your teacher for more details. Click here to watch a little Merry Christmas singing! 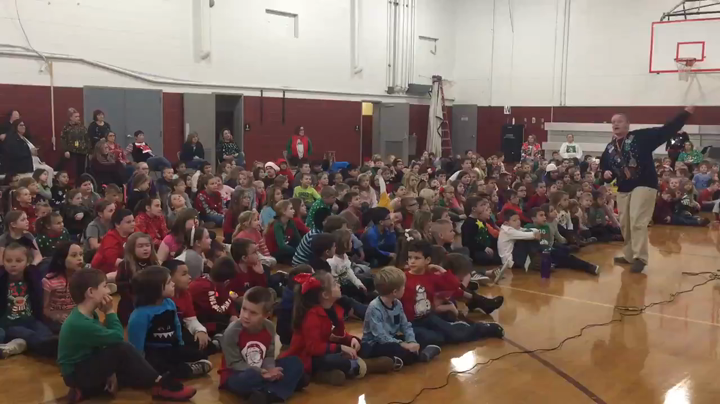 During the Sing A Long, some of the teachers will be sharing their holiday traditions with the students. Classroom teachers will also be sharing their holiday traditions in their classrooms. We would love if you talked with your child about some of your family holiday traditions before Tuesday so they can compare them with the ones they hear about that day. Students are asked to wear their Oh, the Places You’ll Go t-shirts on Thursday, Oct. 25. We will be taking class pictures for the yearbook and would like everyone to wear their shirts that day. We would also like to thank PTO for purchasing these for our school. As a show of support to children who are bullied, please wear ORANGE on Unity Day, Wednesday, October 24, during National Bullying Prevention Month. Nearly one-third of all school-aged children are bullied each year – upwards of 13 million students. By joining together and wearing ORANGE on Unity Day, we can send a message that bullying will no longer be accepted in this society or school. Please mark your calendar to wear ORANGE on October 24th! Remember tomorrow Sept. 30 is picture day at Southside.